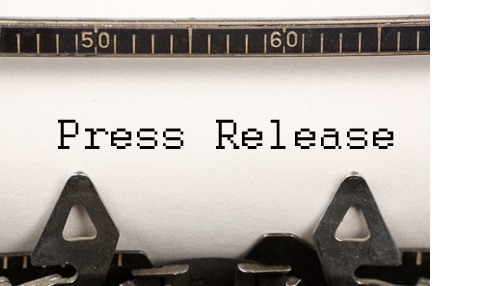 THIS NEWS RELEASE IS INTENDED FOR PROPOSED DISTRIBUTION IN CANADA ONLY AND IS NOT INTENDED FOR PROPOSED DISTRIBUTION TO UNITED STATES NEWSWIRE SERVICES OR DISSEMINATION IN THE UNITED STATES. VANCOUVER, BRITISH COLUMBIA / October 16, 2018 / MGX Minerals Inc. (“MGX” or the “Company”) (CSE: XMG / OTCQB: MGXMF / FSE: 1MG) is pleased to provide an update regarding the proposed spin-out of its wholly owned subsidiary, ZincNyx Energy Solutions Inc. (“ZincNyx”), the intentions for which were previously announced in the Company’s October 3, 2018 news release (the “Prior Release”). The Company has determined to fix October 22, 2018 as the record date (the “Record Date”) for the proposed 2nd distribution of the payment of a dividend in kind of common shares in the capital of its wholly owned subsidiary, ZincNyx (the “ZincNyx Shares”) to shareholders of MGX as of the Record Date (“MGX Shareholders”). U.S shareholders will be eligible to receive the proposed distribution, however there is no guarantee ZincNyx shares will be listed on a qualified U.S. exchange. The Company will issue dividend shares totaling 7% of its holdings in ZincNyx to MGX Shareholders of Record, pending final pricing of shares. As previously announced, shareholders of record of June 29, 2018 will receive a dividend of 33%. The declaration and payment of any such dividend (the “Proposed Distribution”) and the amount thereof will be determined at the discretion of the Company’s board of directors (the “Board”) and will remain subject to, among other things, satisfaction by the Company of all statutory obligations under the Business Corporations Act (British Columbia) (the “BCBCA”). The Proposed Distribution also remains subject to applicable approvals and regulatory compliance in all respects. Further to the Prior Release, MGX intends for ZincNyx to become a standalone company following the spin out by way of a dividend in kind of ZincNyx shares by MGX. The Proposed Distribution is expected to be made by way of ZincNyx filing a prospectus (the “Prospectus”) with securities regulatory authorities in the jurisdictions where MGX is a reporting issuer (the “Securities Regulators”) in order to qualify the Proposed Distribution of ZincNyx Shares to MGX Shareholders such that the ZincNyx shares to be delivered under the Proposed Distribution are not expected to be subject to any statutory hold periods. The Proposed Distribution will not occur unless or until a receipt for the final Prospectus is obtained from the Securities Regulators. MGX expects to retain a significant ownership position in ZincNyx. For more information on ZincNyx, please refer to the Prior Release and the Company’s other news releases, available on the Company’s profile on SEDAR at www.sedar.com and at www.mgxminerals.com. ZincNyx Energy Solutions, a wholly owned subsidiary of MGX, has assembled an experienced team to execute the development and commercialization of a dependable low cost zinc-air battery. This mass storage system offers both environmental and efficiency benefits, ZincNyx strives to meet the growing need for secure and reliable power. ZincNyx technology has been developed around the utilization of zinc as the anode fuel, which offers numerous advantages over other forms of metals due to its unique attributes which include high energy density, abundant availability, low cost, and ease of storage and handling. The regenerative system does not require fuel replacement and offers scalable energy capacity through simple introduction of additional fuel tanks. Because the energy and power capabilities of the system have been completely decoupled, investigation into its viability within much broader sectors beyond mass storage are currently underway, including introduction into both mobile and maritime environments as an alternative to diesel engines. ZincNyx has commenced development of a scaled-up 20 kW system for use in utility-scale battery storage. The 20kW/160kWh modules represent a 4x increase in both energy and power as compared to its current 5kW systems. The 20kW system retains all attributes of existing 5kW systems while providing additional benefits, including lower costs and higher energy density along with the ability to serve broader market segments. The containerized system maybe easily scaled to megawatt storage and output capacities. To date ZincNyx has been awarded 20 patents covering its mass storage technology. The declaration and payment of the Proposed Distribution, if any, will be made by the Board after considering the overall dividend policy of the Company and after consideration of numerous factors including: (i) the earnings of the Company; (ii) financial requirements for the Company’s operations; (iii) the satisfaction by the Company of liquidity and solvency tests described in the BCBCA; and (iv) any agreements by the Company that restrict the declaration and payment of dividends. The Company may determine to fix a different Record Date or withdraw or amend the Record Date as described in this press release in order to meet corporate objectives and comply with applicable laws and regulations. A market for ZincNyx Shares may not sustainably develop following the completion of the Proposed Distribution. If a market for ZincNyx Shares does not sustainably develop, MGX Shareholders may have difficulty selling their ZincNyx Shares and the market price for ZincNyx Shares may be volatile and subject to wide fluctuations in response to numerous factors, many of which are beyond the Company’s and ZincNyx’s control. If the ZincNyx Shares are not accepted for listing on a recognized exchange then the Proposed Distribution may not occur. Following the Proposed Distribution, the Company may own or control ZincNyx Shares and that ownership or control may be material. As a result, the Company could have the ability to control or veto matters submitted to ZincNyx’s shareholders for approval. This may negatively affect the attractiveness of ZincNyx to third parties considering an acquisition of ZincNyx or cause the market price of the ZincNyx Shares to decline. The interests of the Company may not in all cases be aligned with the interests of ZincNyx’s shareholders. In addition, the Company may have an interest in pursuing acquisitions, divestitures and other transactions that, in the judgment of its management, could enhance its equity investment, even though such transactions might involve risks to ZincNyx’s shareholders and may ultimately adversely affect the market price of the ZincNyx Shares. So long as the Company continues to own, directly or indirectly, a significant amount of the ZincNyx Shares, the Company may be able to strongly influence or effectively control ZincNyx’s decisions. The Company does, from time to time, make investments in other companies and in its own research and development initiatives. As such, the Company may acquire interests in companies or otherwise develop businesses that directly or indirectly compete with all or certain portions of ZincNyx’s business or that are suppliers to, or customers of, ZincNyx. MGX Shareholders should consult their own tax advisors in respect of the Proposed Distribution. This news release contains certain statements or disclosures relating to MGX that are based on the expectations of its management as well as assumptions made by and information currently available to MGX which may constitute forward-looking statements or information (“forward-looking statements”) under applicable securities laws. All such statements and disclosures, other than those of historical fact, which address activities, events, outcomes, results or developments that MGX anticipates or expects may, or will occur in the future (in whole or in part) should be considered forward-looking statements. In some cases, forward-looking statements can be identified by the use of the word “may”, “would”, “could”, “will”, “intend”, “plan”, “anticipate”, “believe”, “estimate”, “predict”, “seek”, “propose”, “expect”, “potential”, “continue”, and other similar expressions. In particular, but without limiting the foregoing, this news release contains forward-looking statements pertaining to the following: the Proposed Distribution; the declaration and timing of the Proposed Distribution; the manner of the Proposed Distribution; the Prospectus; ZincNyx becoming a standalone company; qualification of the Proposed Distribution by the Prospectus; statutory hold periods; the conditions to the completion of the Proposed Distribution; expressions of opinion on the ZincNyx Shares by securities regulatory authorities; a public offering of ZincNyx Shares; the market for the ZincNyx Shares; the ownership and control of ZincNyx Shares by the Company; and the Company’s future plans and investment strategy. The forward-looking statements contained in this news release reflect several material factors and expectations and assumptions of MGX including, without limitation: that MGX will continue to conduct its operations in a manner consistent with past operations; the general continuance of current or, where applicable, assumed industry conditions; availability of debt and/or equity sources to fund MGX´s capital and operating requirements as needed; and certain cost assumptions. MGX believes the material factors, expectations and assumptions reflected in the forward-looking statements are reasonable at this time but no assurance can be given that these factors, expectations and assumptions will prove to be correct. The forward-looking statements included in this news release are not guarantees of future performance and should not be unduly relied upon. Such forward-looking statements involve known and unknown risks, uncertainties and other factors that may cause actual results or events to differ materially from those anticipated in such forward-looking statements including, without limitation: general economic, market and business conditions; the Proposed Distribution may not be completed in the timelines anticipated, in the manner anticipated or at all; the Proposed Distribution may not have the results currently anticipated by MGX; increased costs and expenses; and certain other risks detailed from time to time in MGX´s public disclosure documents including, without limitation, those risks identified in this news release, copies of which are available on MGX´s SEDAR profile at www.sedar.com. Readers are cautioned that the foregoing list of factors is not exhaustive and are cautioned not to place undue reliance on these forward-looking statements.